Mary Grissom joins the Mission & Impact team as the Senior Program Officer in November 2019. She brings with her over 15 years’ experience serving in leadership positions for mission directed organizations and leading initiatives that improve community outcomes. 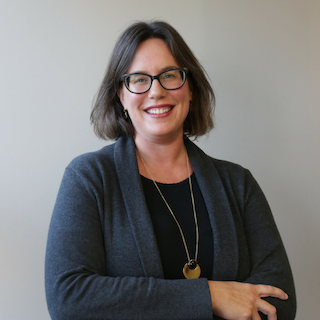 With expertise in impact philanthropy, public policy, and community engagement she supports the Foundation in achieving priorities and leveraging partnerships for the advancement of people and place. Mary’s most recent work experience was at Metro United Way as their Vice President of Engagement Initiatives. There she led advocacy, equity, and volunteer efforts through direct programs and funded partners. Responsible for developing initiatives; raising and stewarding resources; as well as leading volunteer efforts and staff teams; Mary aided Metro United Way in becoming more inclusive, relevant, and proximate to the communities they serve. While born and raised in Louisville, Mary began her career in Boston, Massachusetts. There she worked on issue and electoral campaigns that helped usher a new environment to advance policies, systems and neighborhoods; ultimately served 2 terms as Chief of Staff for the first Asian American elected official in the City of Boston. With family roots in Kentucky agriculture, Mary is passionate about supporting linkages between urban and rural communities and building community through food. As an advocate for racial equity, she is proud to have lead the team and work that received the 2018 Association of Black Foundation Executives Institutional Award for Philanthropic Leadership recognizing exemplary institutions that model effective and responsive grantmaking and the 2016 United Way Worldwide Common Good Award for work with black men and boys. Mary has a B.A in Religious Studies from Indiana University, was a member of the 2014 Bingham Fellows class at Leadership Louisville, and is proud mama to two daughters who keep her on her toes.